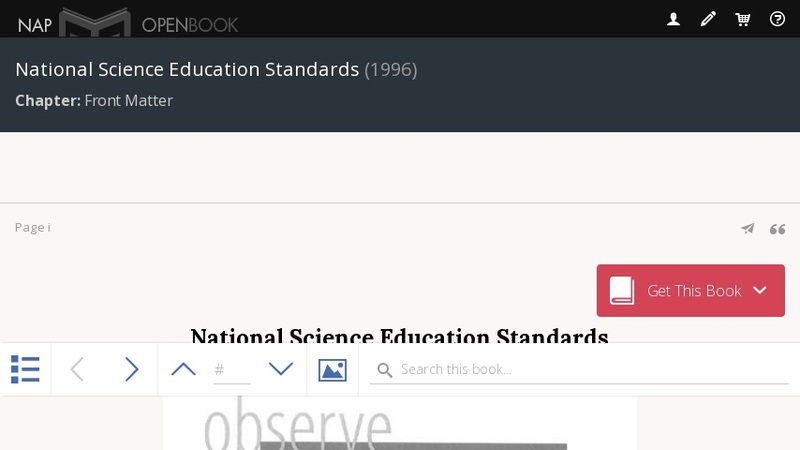 This website from the National Academy of Sciences presents content standards which outline what students should know, understand, and be able to do in natural science. The introduction sets the framework for the content standards by describing the categories of the content standards with a rationale for each category, the form of the standards, the criteria used to select the standards, and some advice for using the science content standards. Information is included for levels K-12.